The summer months are synonymous with sunshine, pool days, and sun-kissed skin. What the summer does positively for the mind, it does negatively to the hair and skin. Take advantage of the heat and capitalize on sun-damaged skin and hair at your salon or spa by offering clients unbeatable deals or educational incentives that focus solely on the health and revitalization of their aesthetics. As the nation celebrates America’s birthday on the fourth of July, your salon or spa should too. Display your patriotism by offering discounted rates on all services, particularly ones that target damage caused by sun and water. Tuning into the needs and interests of your clients makes them feel both appreciated and more inclined to purchase from your business again in the future. With warmer weather sending people outdoors, the importance of protecting skin from harmful UV rays increases. 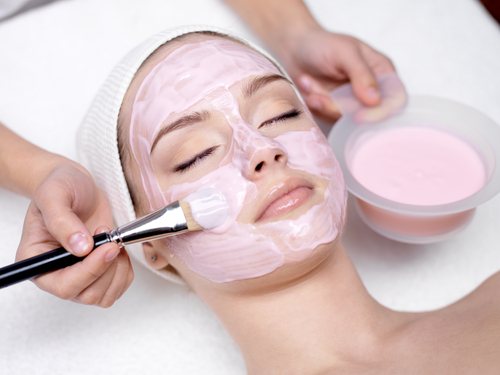 By offering free skincare samples or educating customers on the products best for their skin, you show customers the value your salon or spa places in their wellbeing, while potentially boosting revenue with your retail business. Combine hair and skincare treatments into affordable packages that give your clients the gift of maintenance and restoration. By offering multiple services at a discounted rate, you entice people to purchase because they’re getting more for their money. Preventing damage is the most effective way of protecting hair and skin. This July, create personalized preventative plans for hair and skin that help your clients steer clear of harmful damage. Whether it’s visiting the salon or spa more often for deep conditioning hair treatments or recommending the best moisturizer suited for their skin, your clients will feel genuinely cared for by your salon or spa. The summer provides a prime opportunity for people to look and feel their best, as well as for salons and spas to cultivate their clients’ hair and skin. To learn more tips and trends regarding the salon and spa industry, visit SinglePlatform on Twitter, Facebook, and Instagram.